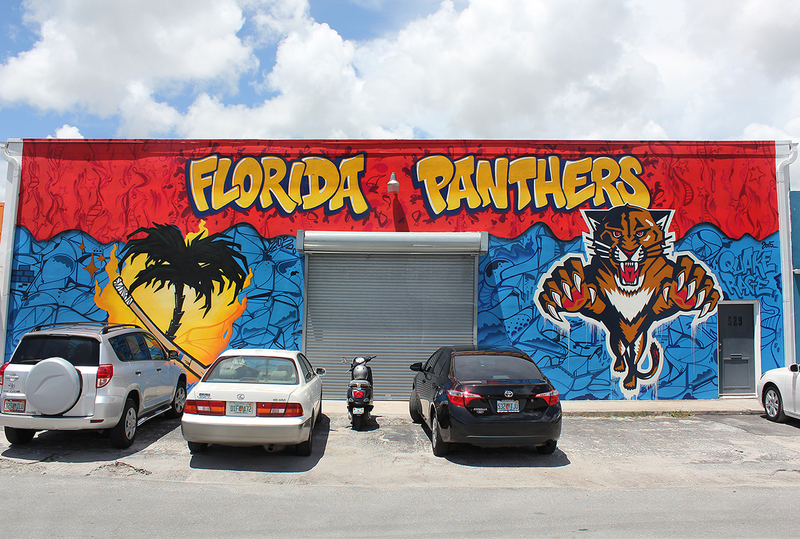 Quick mural painted in 2 days for the Florida Panthers’ post NHL draft party in Fat Village, Fort Lauderdale. The Panther’s requested something graffiti style, but clean, using their team colors, logo, and a fun illustration we created with the palm tree and hockey stick. Special shouts to Quake and Rage for getting it done properly, Jill Weisberg for coordinating, and the good people of Fat Village for being so accommodating under intense Miami Summer conditions.